The Maido Restaurant is a place that I have visited on several occasions with my brother during our times downtown. As both of us are UofT students, it is a convenient walk for the both of us, being located on Bloor Street West. 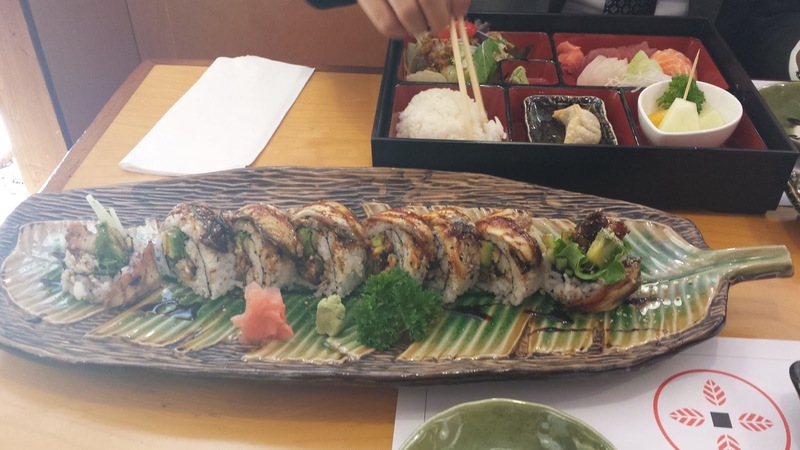 Although now we do not make our frequent visits there since we live in Yorkville, and would make our visits to Asuka for Japanese cuisine instead (see my previous post about Asuka! ), this is a restaurant that is still carrying some of the most quality Japanese cuisine downtown. My favourite selection from Maido has got to be their speciality Dragon Roll, which has unagi, avocado, cucumber and lettuce. 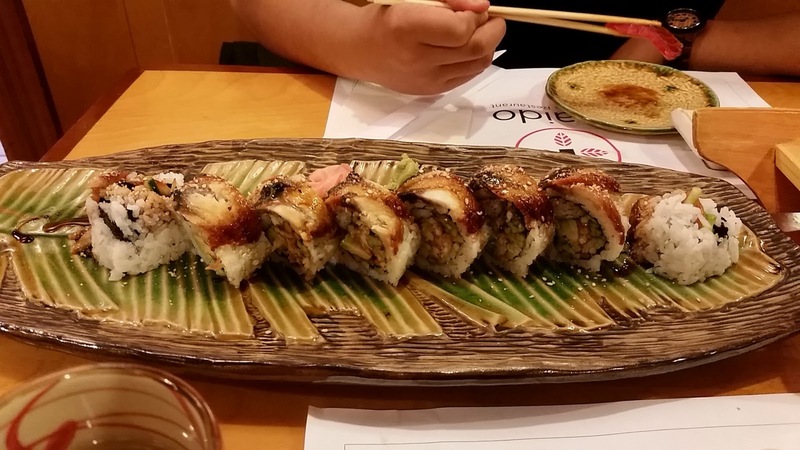 This is such a great sushi speciality maki roll to have, and although quantity is 8 rolls in total, they are GIANT. Well filled, and well worth the price of $15 in my opinion. They also offer a choice of different bento boxes (as my brother selected in the photo above). I believe that day he had ordered the sashimi bento which had, of course, sashimi, rice, salad with Japanese-styled dressing and a side of gyoza. This, on his account, was fresh, quality bento and a nice option to make if you are looking for a variety.